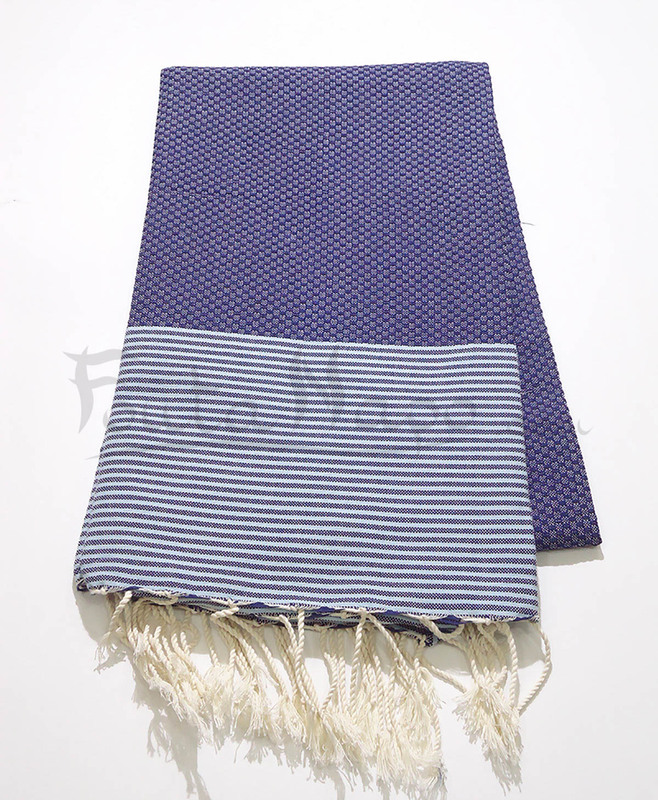 The fouta Honeycomb thin stripes Navy & Acqua, size 100 x 200 cm. 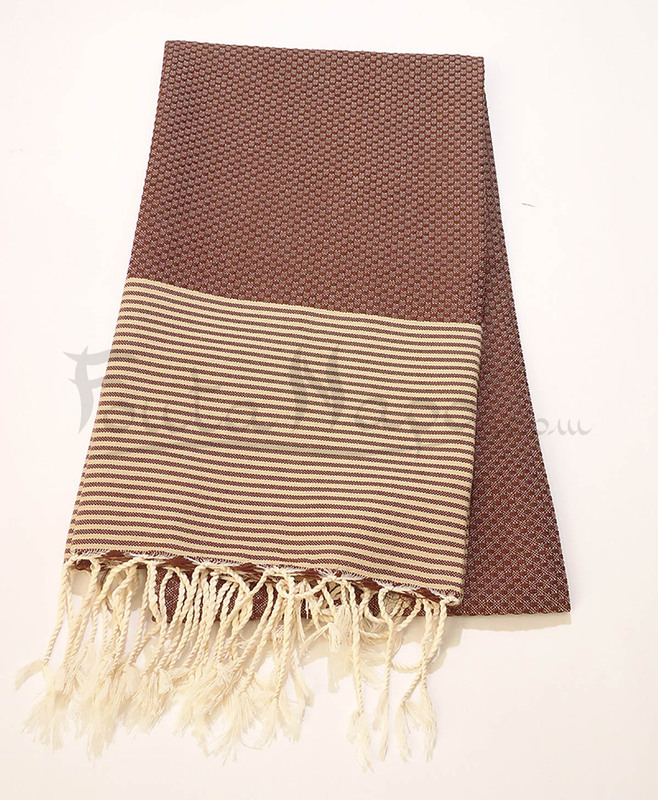 The fouta towel honeycomb with thin stripes Navy & Acqua, is a perfect fabric, soft and chic. It has a unique design. 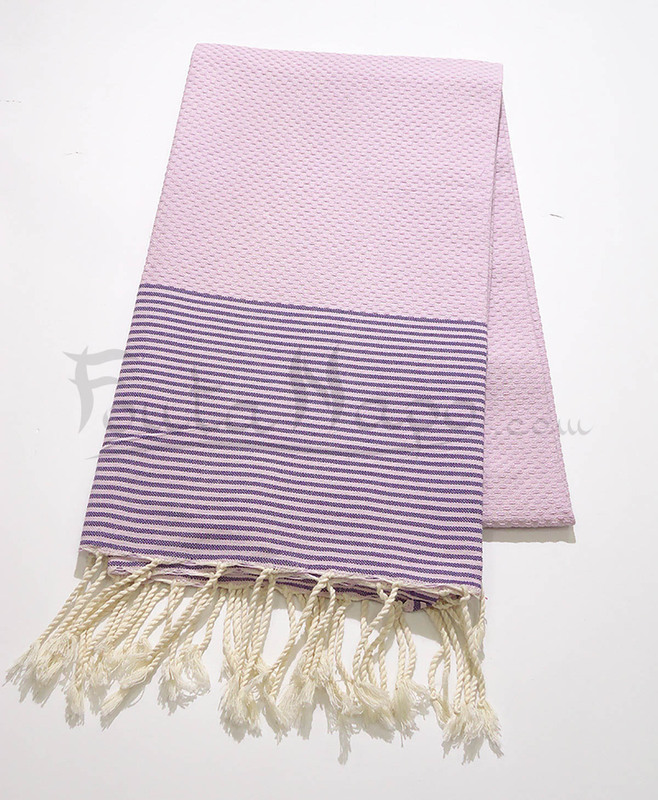 You can used this beautiful fouta on the beach or in the pool. you will like to put on your shoulders during the cool summer evenings.